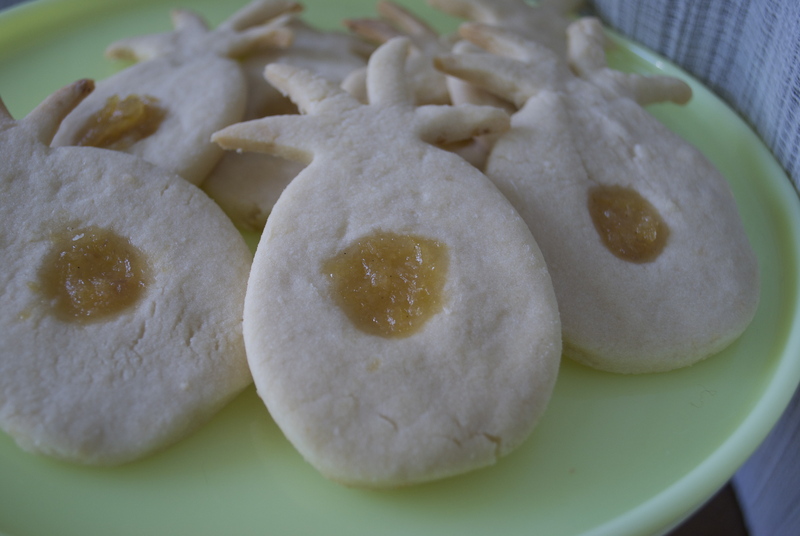 Work in progress: Pineapple Shortbread Cookies. Do you love the scent of pineapple? I do. When I am selecting one to buy, I always turn it over and smell it. I think the best ones have a faintly sweet smell just floating on the air. Man, I love that fruit. Each time I go to Hawaii, I always come across pineapple shortbread cookies, entirely full of butter and not vegan. I’ve never tasted them, but decided to start experimenting. I found a lovely little coconut-pineapple jam at a farmer’s market and one of my only regrets is making the thumbprint much too small. There’s freeze-dried, pulverized pineapple in the dough, but I still think they need a little something extra. I already love how they look!